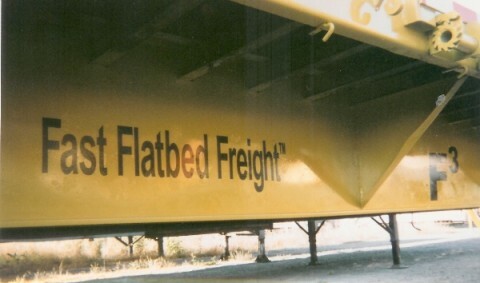 Fast Flatbed Freight™ is F3’s trademark and our core business. Based in California and backed by our own equipment, owner-operators and an extraordinary group of carriers, F3 is your one-stop-shop for everything transportation. Brokerage: with access to over 2,000 carriers nationwide and 20 of which F3 does business with everyday, F3 can handle anything in the 48 states, including all LTL (partials) and Truckloads for Flatbed, Van and Step Deck or Lowboy Heavy Equipment hauls. We have specialize rates in Flatbed LTL (partials) and Truckloads for lanes out of California to all points even those areas that maybe hard to service. Carrier: based in California with four leased trucks, two carriers with over 80 trucks and am ample amount of trailers we can service anywhere in California, Nevada and Arizona Truckloads and LTL (partials) for both Flatbeds and Vans. Logistics: over 12 years experience in scheduling, laws & regulations and logistics transportation management, F3 can alleviate all of the pressures that running a transportation department has. From leasing tractors, trailers and drivers for service of your specific company needs or to handle all the billing, rates and agreements between your small business and various amounts of carriers F3 can help. Contact us today and ask about any or all of the services we provide. With competitive rates, on-time deliveries and a full service transportation system. F3 looks forward to hearing from you. (866) 337-9786 or contact us here. Copyright © 2019 | All Rights Reserved | Web Development By West County Net, Inc.